No one knew how long Taliban rule would last and during the most tenuous times she would plead with her parents not to return to school, saying they shouldn’t risk their lives just to attend school. Her father’s response motivated her to return each day, even though death could be waiting on the other side of the door. Ms. Basij-Rasikh grew up thinking clandestine classes and daily threats were the norm. It was not until news of the attacks of September 11, 2001 broke in Afghanistan that she came to realize how vastly different circumstances for young girls were outside of the country. 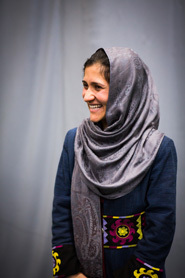 In 2002, after the United States and international community helped overthrow the Taliban, Ms. Basij-Rasikh was allowed to openly attend a public school for the first time. She was 12 years old. Since schools had been banned for so long, most of Ms. Basij-Rasikh’s classmates were at least six years older than she was. “It was only then that I started to realize how lucky I was that our parents risked our lives,” she said. As the top student in her grade, Ms. Basij-Rasikh won a scholarship to participate in a study exchange with a high school in Wisconsin. In 2008, as a sophomore at Middlebury College, Ms. Basij-Rasikh co-founded SOLA. The school began with five students and a single mission: to teach English so students could apply for scholarships to study abroad. “Quality education does not yet exist in Afghanistan and for these students, who we consider the future, to have access to quality education we have to help them receive this education abroad,” Ms. Basij-Rasikh said. 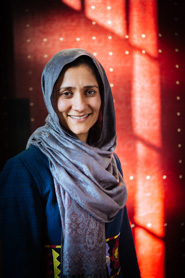 While at Middlebury, Ms. Basij-Rasikh contemplated being a doctor, a lawyer, and an engineer—career choices driven by the needs of Afghanistan. She decided, however, that she could make the greatest difference by educating the next generation of doctors, lawyers, and engineers. According to Ms. Basij-Rasikh 90 percent of Afghan women are illiterate. 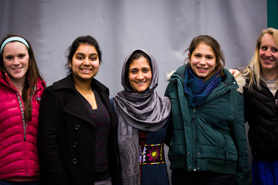 SOLA, the first internationally accredited boarding school for girls in Afghanistan, has 35 students, who represent 14 ethnicities and 20 Afghan provinces. Students and parents are required to sign pledges that they will respect all members of the SOLA community, rising above long-held ethnic prejudices, and only speak English at the school. On Monday, Ms. Basij-Rasikh admitted that the change she is working towards, the opportunity for every Afghan to receive a quality education, will not come in her lifetime. She recalled the advice of her father who said education was like date farming; it could take 55 years for a date tree to bear its first fruit. Ms. Basij-Rasikh’s story. She is an inspiration to us all.